Now all the heavy lifting is finished and we get to reap the benefits of our labour. It’s time to install the front end and start playing some videos. I’ve been using Kodi for a while now, it was originally called XBMC, but has since re-branded, and is moving to version 15 (code named Jarvis) at the time of this post. The current version is around 60MB, so it’s a fairly hefty download and will take a few minutes, so get it queued up. The installation is straight forward, even the Kodi help is only a paragraph long (http://kodi.wiki/view/HOW-TO:Install_Kodi_for_Windows) so I won’t go in to much detail. Click through, change what you want to customize and lets get going. 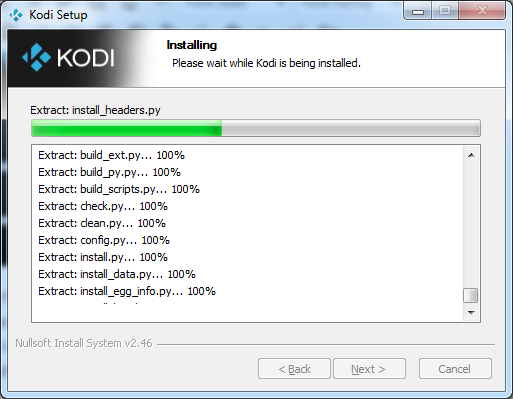 And on the finish screen click to run Kodi and we’re off to the races. I love the default skin so I don’t change it, but if you want options they’re out there – you just have to look around. 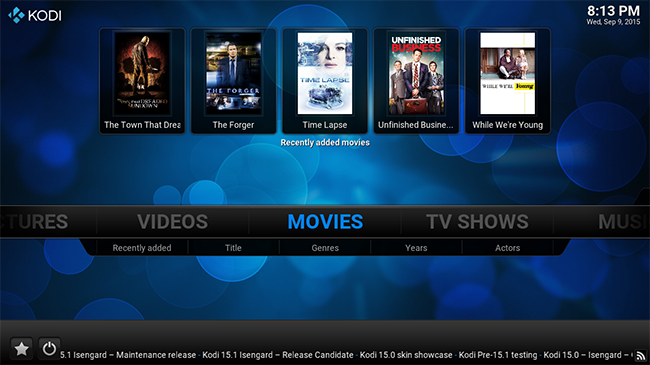 Kodi is designed to be easy to navigate with a remote, or keyboard (my preference). Arrows move side to side, enter opens the menu. You won’t find anything in there just yet, since you have to set that stuff up. You can add music or videos or movies in there directly – or you can connect to a back end server (Emby) which is what we’re going to do next. 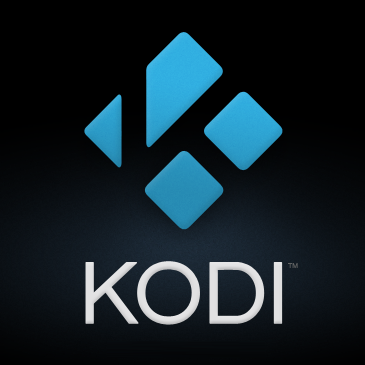 There is an Add-on for Kodi that we’ll need to download next. 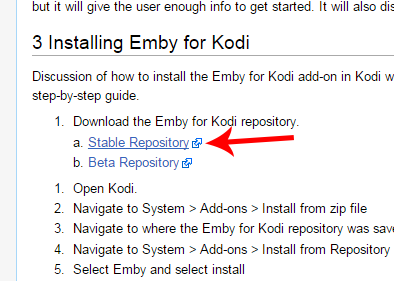 You can find the instruction here: http://kodi.wiki/view/Emby – we’ll work through them together. First download the stable release from the website. 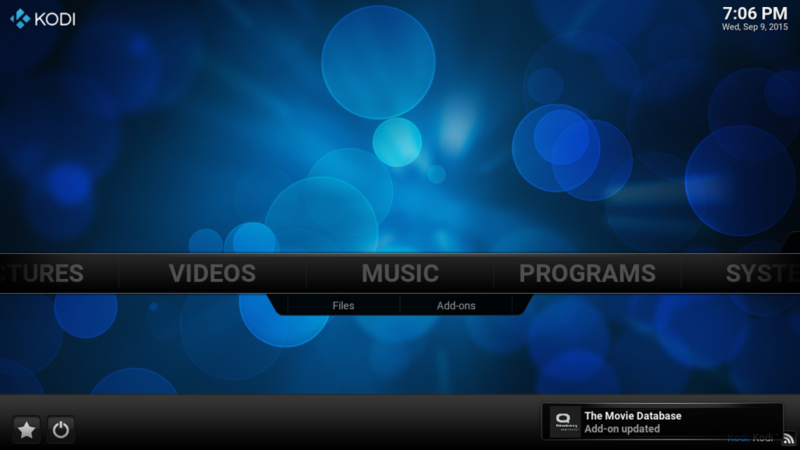 Open Kodi and navigate to the System Menu->Add-ons. Select “Install from Zip File” and navigate to where you downloaded the repository. Select it from the list. Once you see the install complete (upper right corner), exit and restart Kodi. Navigate back in to System->Add-ons. 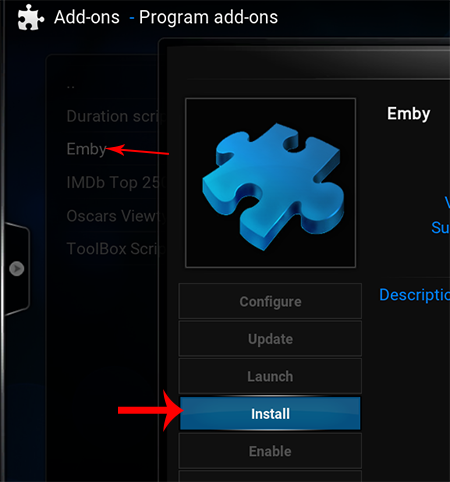 Then select “Install from repository” -> Kodi Emby Add-ons -> Program Add-ons -> Emby. In the window that opens select “Install”. Kodi should find your server automatically. It found mine. It will ask you to select a user, and input your password. Once you get that info right, it should start importing your stuff. Now we’re ready to watch! If your server wasn’t auto detected, or you have problems, just go back to the Install point, and select “Configure”. All the options and settings should be in there for you. Hit “ESC” a few times till you’re back at the main menu, then scroll across to find your content. Enjoy! Well this could be relatable to another guide I found for installing Kodi on windows, please provide your feedback about it.